Shawn Dominy is the founding attorney of the Dominy Law Firm, located in Columbus, Ohio. He helps clients charged with DUI / OVI, criminal offenses, and serious vehicular crimes like vehicular homicide and vehicular assault. This page of the website is designed to give you more background information about about Shawn Dominy. Shawn Dominy is named in the Super Lawyers® list for Ohio, a list which recognizes only 5% of exceptional lawyers in each state. Mr. Dominy was named by Super Lawyers® as one of the top 50 lawyers in Columbus, a city with over 8,000 lawyers. Shawn Dominy received the highest possible rating (AV-Preeminent®) for ethical standards and professional ability from the national Martindale-Hubbell legal directory. He was selected for the Top 100 Trial Lawyers by the National Trial Lawyers organization and named a Top Lawyer by Columbus CEO Magazine. In addition, he holds a 10.0 rating on a scale of 1.0 to 10.0 from Avvo.com, and he is also the recipient of Avvo's Client Choice Award. Shawn Dominy grew up in central Ohio and attended Olentangy Schools. He earned a Bachelor of Arts degree in 1993 from The Ohio State University, where he studied criminology and political science. He graduated from The O.S.U. Moritz College of Law in 1997 and scored in the top five percent on Ohio's bar exam. During law school, Shawn Dominy worked for a Columbus attorney with a practice focused on criminal defense and DUI / OVI defense. After graduating from law school in 1997, he formed a partnership with that attorney. In 1999, Shawn Dominy established the Dominy Law Firm, focusing on DUI/OVI defense and criminal defense. He has represented thousands of clients charged with DUI/OVI and criminal offenses, and his cases have ranged from speeding tickets to murder indictments, and everything in between. 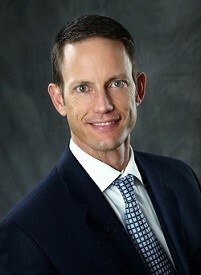 In 2002, he began proactively developing expertise in the area of DUI/OVI defense. Shawn Dominy has taken dozens of cases through suppression hearings and jury trials, and he has obtained a lot of favorable results, as you can see on the 'Case Results' page. Although he does not currently handle appeals, he has in the past represented clients in Ohio appellate Courts and the federal Sixth Circuit Court of Appeals. DWI Detection And Standardized Field Sobriety Testing, National Highway Traffic Safety Administration (NHTSA) and the Internsational Association Of Chiefs Of Police (IACP), 2005. For evidence of Shawn Dominy's training and experience specific to Ohio DUI/OVI defense, please see the 'Certifications' page. Shawn Dominy is the President-Elect of the Ohio Association of Criminal Defense Lawyers and also serves as the co-chair of that organization's OVI Seminar Committee. He is a member of the National Association of Criminal Defense Lawyers, the National College for DUI Defense, and a founding member of the national DUI Defense Lawyers Association. Shawn Dominy is also a member of the Ohio Bar Association, the Columbus Bar Association (former chair of the Criminal Law Committee), and the Delaware County Bar Association. In addition, he is a member of the Central Ohio Better Business Bureau (A+ rating) and the Powell Area Chamber Of Commerce. I Was Charged With DUI/OVI-Now What?! What You Need To Know Before Going To Court And Before Hiring A Lawyer For DUI/OVI In Ohio, iUniverse Publishing, 2014. Defending DUI Vehicular Homicide Cases, Settlement Strategies For DUI Vehicular Homicide Cases chapter, Aspatore Publishing, 2012. Shawn Dominy's practice is focused on representing clients charged with DUI / OVI, criminal offenses, and serious vehicular crimes like vehicular homicide and vehicular assault. He does not practice other areas of law and handle an occasional DUI/OVI or criminal case: this is all he does, and he enjoys his work. From his law office in Columbus, Ohio, Shawn Dominy practices DUI/OVI defense in courts throughout central Ohio, including the following counties: Franklin County, Delaware County, Fairfield County, Knox County, Madison County, Marion County, Morrow County, Pickaway County, and Union County. He practices in Municipal Courts, Common Pleas Courts, and Mayor's Courts. If you would like more information about the Dominy Law Firm, please see the About Us page. You can also see what clients say and review past case results. If you would like to talk with Shawn Dominy about your DUI/OVI case or criminal case, please submit a CONTACT FORM or call 614-717-1177 to arrange an initial phone consultation at no cost.